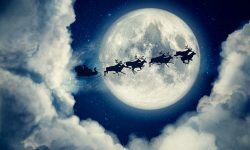 Are you thinking of starting a Christmas lighting program for your business? It's worth thinking about, because it's very much worth doing. Dressing up your business in Christmas lights and decorations can pay off quite handsomely. 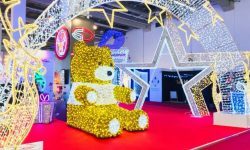 In fact, the Small Business Administration advises that creating a festive atmosphere for your business is one of the top 5 ways to attract customers. And did you know that holiday displays might even help to reduce the chance that your business will be targeted by criminals? If this year will be your first effort at installing Christmas lighting at your business, you can use these four Ps to help guide you through the process. The first step, of course, is to plan your design. This is a critical step. Though it can be tempting to purchase a bunch of lights and just start stringing them up, that's not a wise move. The best displays are those that are carefully and meticulously planned before a single bulb is hung. That includes deciding what types of bulbs to use, the colors, the locations where they will be hung, etc. This first step can seem quite overwhelming for a newbie. But you can give us a call and we'll be happy to guide you through the process; it's what we're here for. And you can also get an assist from technology by downloading this app to your smartphone. 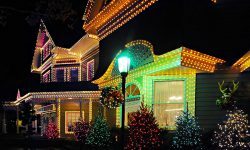 Once you have the design of your light display all planned out, you'll need to determine how much power it will require. That's important, because you need to be sure that you won't be overloading any circuits with your display. And of course the more extensive your display, the more important it is to calculate the power consumption of the display. You can use this detailed guide to determine your display's power requirements. 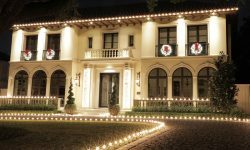 Before you begin installing your light display, making a few preparatory checks will help to assure that the job goes smoothly and turns out well. Start by making certain that you have all of the extension cords you'll need for the job. Be sure to use only UL approved cords that are labeled for outdoor use. The final step is to plug in each light line to make certain that every bulb is functioning properly. Replacing the occasional bad bulb is much easier before the light lines have been hung. 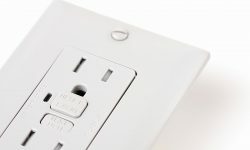 The key to installing your light lines properly, neatly, and securely lies in using professional attachment hardware. We offer a huge array of clips and assorted attachment hardware for attaching your lights to all variety of surfaces. You can use this guide for choosing the best attachment hardware for your installation job. Once you've planned and installed Christmas lights for your business, you'll be able to reap the rewards of your efforts. Odds are good that you'll profit from your Christmas light display in terms of dollars and cents - particularly if you have a retail operation. 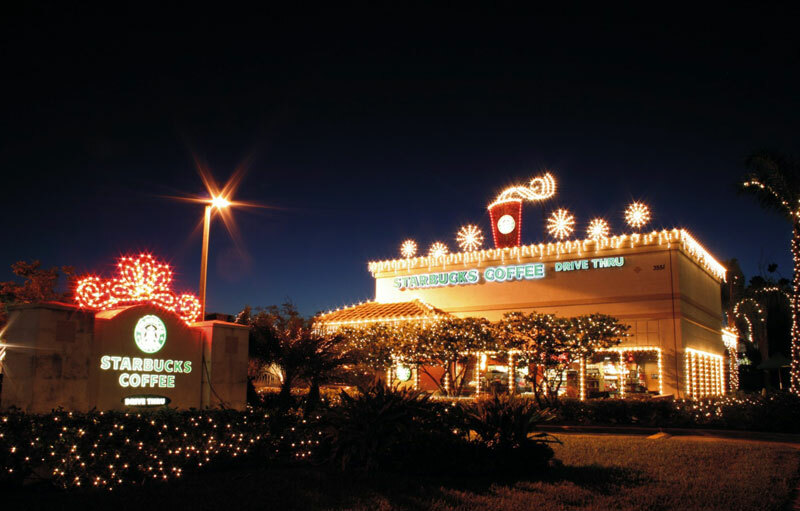 But even businesses that don't depend upon attracting customers to a physical location can profit from starting a Christmas lighting program. That's because Christmas light displays offer businesses other intangible benefits, such as boosting employee moral. Yes, it will take a bit of time and effort to work your way through the four Ps listed above. But that final 'P' will make it all worthwhile.